Analysts at Morgan Stanley downgraded Bloomin' Brands Inc (NASDAQ: BLMN) from Overweight to Equal-weight. The price target for Bloomin Brands has been lowered from $25 to $19. Bloomin Brands shares closed at $16.82 on Wednesday. Keefe Bruyette & Woods downgraded Walker & Dunlop, Inc. (NYSE: WD) from Outperform to Market Perform. The price target for Walker & Dunlop has been raised from $27 to $32. Walker & Dunlop shares closed at $32.11 on Wednesday. 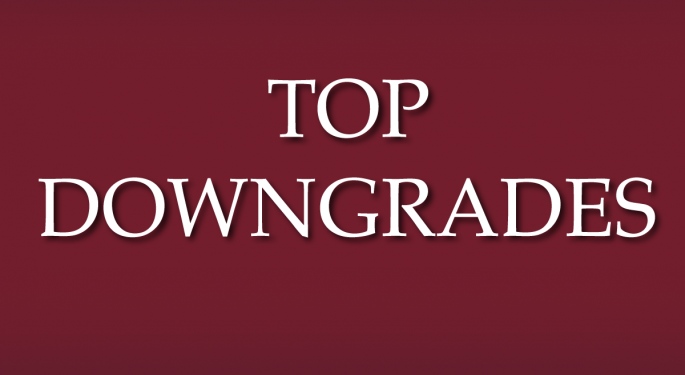 Analysts at Barclays downgraded BankUnited (NYSE: BKU) from Overweight to Equal-weight. The price target for BankUnited has been raised from $38 to $39. BankUnited shares closed at $38.00 on Wednesday. FBR Capital downgraded Oracle Corporation (NYSE: ORCL) from Outperform to Market Perform. The price target for Oracle is set to $44. Oracle shares closed at $40.49 on Wednesday. Analysts at FBR Capital downgraded FireEye Inc (NASDAQ: FEYE) from Outperform to Market Perform. The price target for FireEye has been lowered from $53 to $28. FireEye shares closed at $29.12 on Wednesday. 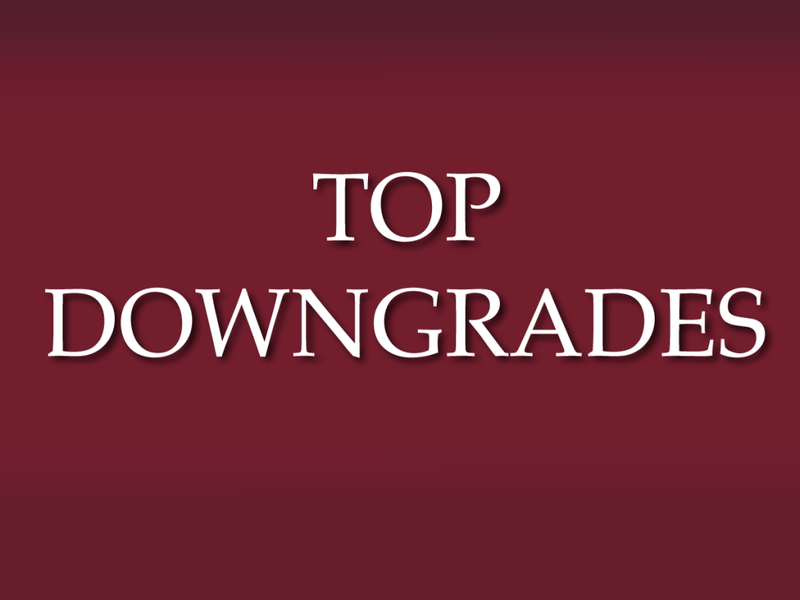 JP Morgan downgraded AVG Technologies NV (NYSE: AVG) from Overweight to Neutral. AVG shares closed at $24.11 on Wednesday. Analysts at Wells Fargo downgraded Time Warner Inc (NYSE: TWX) from Outperform to Market Perform. Time Warner shares closed at $72.25 on Wednesday. Stifel Nicolaus downgraded King Digital Entertainment PLC (NYSE: KING) from Buy to Hold. King Digital shares closed at $17.77 on Wednesday. Analysts at UBS downgraded Avon Products, Inc. (NYSE: AVP) from Neutral to Sell. Avon Products shares closed at $3.44 on Wednesday. Analysts at JMP Securities downgraded Walker & Dunlop, Inc. (NYSE: WD) from Market Outperform to Market Perform. Walker & Dunlop shares closed at $32.11 on Wednesday.